Given the name I should really have posted this NOTD during the winter and not smack bang in the middle of summer. I saw it in my drawer the other day and thought it would go nicely with the colour I was already wearing, Orly's You're Blushing. Despite the many glitter nail polishes that I own, I'm not a huge fan of them. It's only every now and again that I'll actually wear one, I usually stick with crème finishes, but I just felt like wearing this one. Since I had applied three layers of polish before the glitter, removal wasn't as bad as it could have been. That's the main thing that puts me off wearing glitter, it looks nice but is a pain to take off. I love to own glitter polish but I hate the hassle of taking it off so I very rarely wear it. If that makes sense? 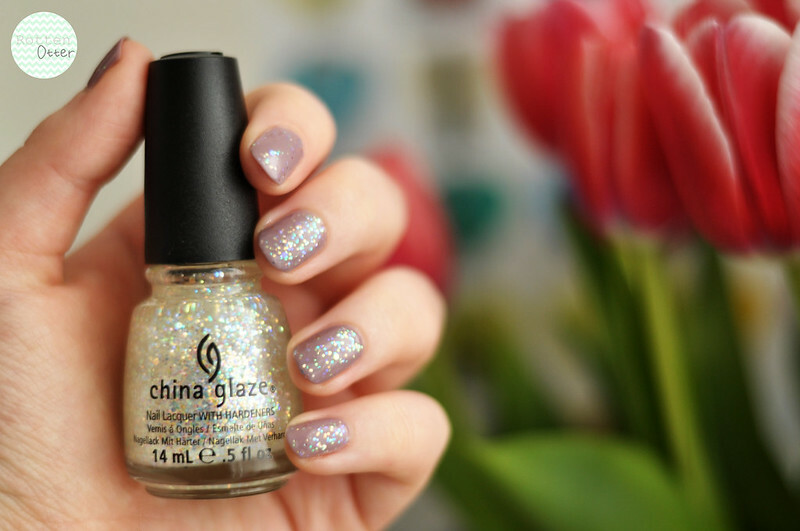 This is a really pretty glitzy top coat.